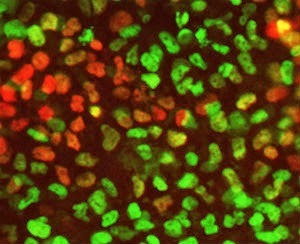 Scientists have now identified one of these combinations, which drive the cells along the path that allow them to become organs such as liver and pancreas. This latest research could lead scientists to a better understanding on how to generate insulin-producing cells in the laboratory to use as therapy for Type I diabetes. The work has just been published in the journal Cell Stem Cell. “There is however a lack of understanding of how these compounds activates the genes that give the cells unique identities, which has resulted in a lack of reproducibility of the methods used by different labs. As a comparison; if you use a pre-mixed powder to bake a cake you will face problems if you run out on an important ingredient and do not know how to replace its action. We believe that our study provides useful information that will help us to understand the recipe better, so that we can generate functional cells in a more controlled manner,” adds Post doc Nina Funa.